Posted October 17, 2017 by Daisy May Sitch & filed under Beauty, Clients, Event, Fashion, Featured, Home Page Features, Instagram, London, Media, Push PR London, PushTalks, Social media. 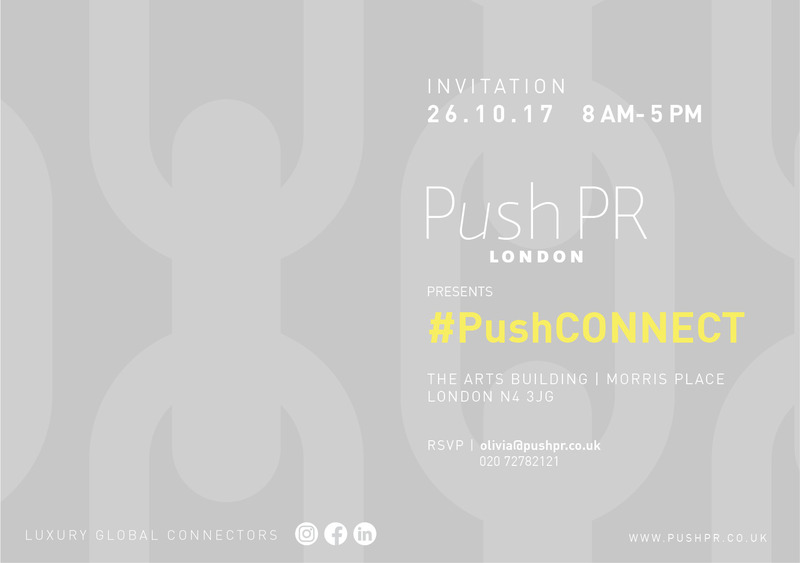 Push is hosting an all-day event on Thursday 26th October in the showroom (fourth floor of The Arts Building, Finsbury Park). #PushCONNECT is about bringing people together in real life, it’s about making introductions and facilitating conversations with a view to making collaborations happen. 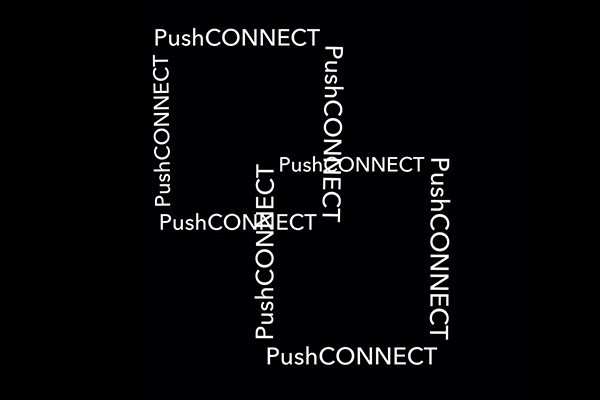 In a world where we are always – personally and professionally – ON, always occupied by our digital devices and the devising of quick wins, Push is adamant about the need to slow down and have a face to face. As an agency we are hugely proud of the fact that we have established an incredible network of people (entrepreneurs, global luxury brands and businesses) and this is something we continue to build and share. There is something truly rewarding about connecting individuals, and industries, so we have put together a line-up of INSERT BUZZWORD ➡ experiences ⬅ (a Power Brunch hosted by Get To Know, T3 Haircare blow dry station, manicure bar, Dinny Hall cocktail hour) to ensure that #PushCONNECT does exactly that. Join us from 8am right through to 6pm when the drinks reception kicks off; the showroom doors will be wide open. RSVP to olivia@pushpr.co.uk, turn up, take part.